Minimally Invasive Spine Surgery in India | Surgery for Spinal Tumors. Tumor is abnormal mass of rapidly growing cells without any physiological function. That means it does not perform any function for the body but derives its nutrition from the body. It can occur anywhere in the body. The cause is unknown. 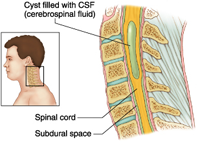 Those tumors that are found in and around the spinal cord are known as spinal tumors. They may be primary tumors whose cells of origin is the spinal tissue, or they may be secondary tumors which have spread (metastasize) via blood stream from some other focus in the body. The Spinal cord is covered by a layer of protective tissue called as meninges. The entire spinal cord is encased within the vertebral column. Spinal bone tumors can be divided into cancerous tumors and benign tumors. 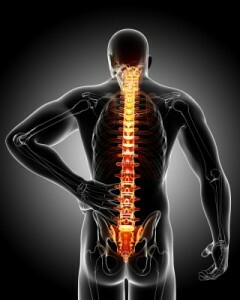 Cancerous spinal bone tumors include metastatic cancers and primary bone cancers. Although any type of cancers can spread to the spinal bone, the most common ones include lung cancers, breast cancers, prostate cancers, kidney cancers, and lymphomas. Primary cancerous spinal bone tumors are relatively uncommon and include chordomas, osteosarcomas, chondrosarcomas, Ewing’s sarcomas, multiple myelomas, lymphomas etc.Treatments for these malignant tumors must involve multimodality measures including surgery, chemotherapy and radiation. Benign spinal bone tumors include osteoid osteomas, osteoblastomas, osteochondromas, giant cell tumors, aneurysmal bone cysts, plasmacytomas, hemangiomas, etc. Treatments for these benign tumors have to be individualized depending on the type of pathology and their symptoms. Two common extramedullary tumors are neurofibromas and meningiomas. Neurofibromas can occur as a sporadic condition or as a genetic disorder such as neurofibromatosis. These are benign tumors that often require surgical removal. Although hemangioblastomas, epidermoid, dermoid, and others can rarely occur, the two most common intramedullary tumors are astrocytomas and ependymomas. Treatment involves primarily surgical resection. Radiation treatments may be required in some cases as an adjunctive treatment. Minimally invasive surgery is available for a number of spinal disorders, ranging from degenerative diseases to spinal tumors. These procedures have potential to greatly benefit patients by reducing surgical risk, pain, blood loss, risk of infection, and time to recovery. Our specialists have extensive training and experience in minimally invasive spinal techniques, some of which can be performed in the outpatient setting. Instrumentation designed for these procedures allow for improved visualization and mobility. These approaches conserve anatomical structure during the removal of spinal cord tumors. These procedures are innovative because they offer an effective alternative to undergoing more extensive procedures which often require metal spinal implants and bone fusion. These methods are less invasive than conventional methods because bone resection is minimized. Shorter hospital stays are involved than in conventional procedures. Postoperative braces are generally not required.